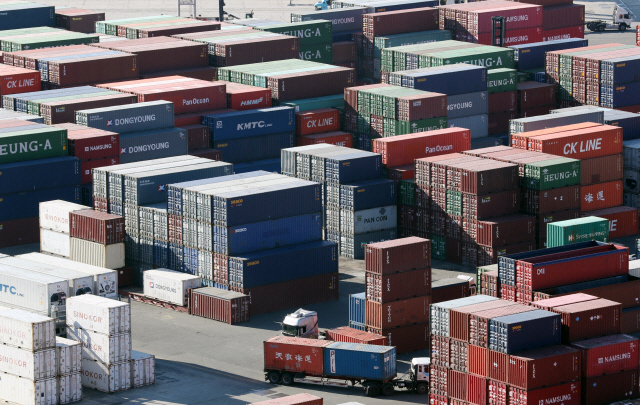 The poor export showings in December and January marked the first time in 27 months that shipments have fallen in consecutive months on an annual basis and are an indication of tougher times ahead for Asia's fourth-largest economy, experts here said. Sung Tae-yoon, an economics professor at Yonsei University in Seoul, said the downturn is due to weaker global chip prices, with an unfavorable trade environment adversely affecting the country's export prospects as a whole. "South Korea seems to be losing its competitive edge in the export sector," he claimed. Reflecting this, most thinks tanks, trade-related organizations and brokerages warned outbound shipment growth of the world's sixth-largest exporting nation may be halved in 2019 from the year before. Samsung Securities Co. adjusted export growth numbers from 5.5 percent to 2.5 percent, while Eugene Investment Co. downgraded the country's export growth estimate from 3.5 percent to just 1 percent.